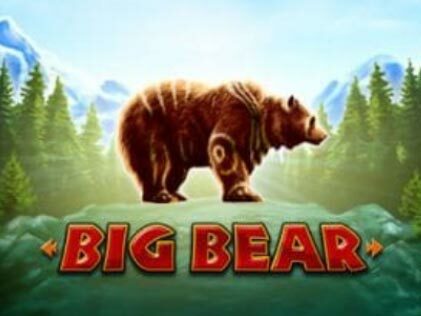 Roam in to the darkest and wildest recesses of the forest with the protection of all the great beasts of the jungle in Playtech’s latest slot game - ‘Big Bear’. The majestic beauty of the nature rolls in the otters, fishes, lynxes, the great wolf and the Wild Bear. The Eagle being a trust worthy companion giving out the highest payout among all the standard reel symbols. With Wild Symbols and Scatters to offer big wins and the possibility of a huge jackpot lurking in your way, other playing card symbols like A, K,Q or J etc. start to become a valuable part in your journey as well. In addition, there are bonus rounds with ‘Free Games Feature’ and ‘Hold and Extra Spin Features’ maximizing the pay out to a multiplier of ‘36x’. This 5 reels and 3 rows online slots game allows a total of 243 bet ways or pay lines to win with for a player. The stakes or bets begin from 10 p to €500 per spin with the maximum win being a 20,000 coins pay out. Lastly, the Wild Multipliers, free spins and free games are just the added bonus you might need while recuperating from all the crazy fun. How to Play the Big Bear Slot ? Open ‘Big Bear Slot’ on your Laptop (or PC), Tablet or Mobile. 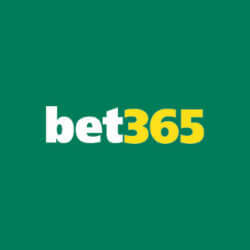 Set the ‘Bet Value’ from a range of €0.10 to €500.00. Press and Hold to open the ‘Autoplay’ menu. You can then choose the ‘Stake Per Player’, ‘Number of Plays’ and much more to activate Auto Play. Be prepared to win in 243 different ways with a jackpot of 400. All pay outs are from left direction to the right, starting from reel 1, except the Scatter. The Scatter Symbols pays out on any reel. There are a total of 243 win lines/ bet ways/ pay lines in this slots game. All wins are shown in the pay table corresponding to the current bet. Only the highest pay out or pay line will win (or be paid) in case of multiple payouts. Any type of malfunction voids all pays and game plays. The Return To Player ( or RTP) of the game is 95.48%. Any unresolved bet that was placed but still remains undecided will become void after a time period of 90 days and will be forfeited to a charity. Big Bear Slots Game by Playtech provides you with 243 bet lines or pay lines to win. With a dark and dense forest as the background, ‘Big Bear Slot’ is an unfurling mystery with big animals like The Wild Bear, The Untamed Wolf, The Watchful Eagle and the Stealthy Lynx guarding it. Bound by the nature, the otters or beavers and the fish keeps the illusion of the jungle intact. The grizzly bear acts as the Wild Symbol where as the a ‘Bear-Paw wielding Drum’ acts as a Scatter Symbol. The sound effects and the background music by this Playtech invention is astounding as well as captivating. So, place your stake to play for real money and get ready for a wild journey with this slot game. Coins Range : The coin range is from 0.10 to 500.00 with the minimum bet to be 10p or €0.10 and the maximum bet be €500.00. Spin : The ‘Spin’ Button is represented by a green button with a rotating arrow symbol on it. It is located at the right centre of the slot game. Autoplay : The ‘Auto Play’ Button is in conjunction with the ‘Spin’ Button. You can ‘Press and Hold’ the Spin button to access or activate the AutoPlay menu. Once there, you can choose the bet per play or the total no. of plays as well. You can then set the ‘Maximum Loss Limit’ as well as the ‘Single Win Limit’ which can stop the Auto Play action when the selected limits are reached. Finally, you can proceed to confirm or reset your chosen values and proceed to play. 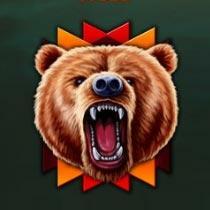 Wild Symbols : The Wild Symbol is represented by the ‘Big Bear’ in the game. It appears on slot reels 2 and 4 only. It substitutes for all the symbols in the online game except the Scatter. Scatter Symbols : The Scatter Symbol is represented by a ‘Drum’ with a ‘Bear Paw Symbol’ on it. The presence of 3 or more scatters on the slot reels will award you with free spins. The wins from Scatter are multiplied by the total bet amount and then they are added to the way wins. High & Low Payout Symbols : The standard reel symbols include High Pay-out Symbols like the Eagle, Wolf, the Lynx, the Beaver (or Otter) and the Fish Symbol. The Low Pay Out Symbols include the Playing Cards A to 9 (i.e. A, K, Q, J, 10 and 9). Feature 1 : 20 Free Games : In this feature, any win with a ‘Wild Symbol’ on slot reel 2 or 4 will be multiplied by ‘x2’. And, any win with the ‘Wild Symbol’ on both the reels 2 and 4 will be multiplied by ‘x4’. Feature 2 : 15 Free Games : Here, any win obtained with a ‘Wild’ on the reel 2 or 4 will be multiplied by ‘x3’. And, any win that occurred with the ‘Wild Symbol’ on both the slots reels 2 and 4 will be multiplied by ‘x9’. Feature 3 : 10 Free Games : In Feature 3, if any win took place with a ‘Wild Symbol’ on slot reel 2 or 4, then it will be multiplied by ‘x4’. Similarly, any win with a ‘Wild Symbol’ on both reels 2 and 4 will be multiplied by ‘x16’. Free Games Multiplier: The ‘Free Games Wild Multiplier’ is a benefit provided by the free games feature with a maximum of ‘16x’ multiplier. The Bonus Games Feature can be re- triggered multiple number of times during the Free Games. The credits bet will be the same as the game that triggered the feature. For Feature 1 : During the extra spin, if any win occurs with a ‘Wild Symbol’ on the reel (it can be reel 2 or reel 4), then you will be credited with a ‘3x’ multiplier. Then, if the ‘Wild Symbol’ is present on both the reels 2 and 4, then the win will be multiplied by ‘x9’. For Feature 2 : If Feature 2 is selected, then while the extra free spin is in play, any win with a ‘Wild Symbol’ on reel 2 or 4 will be multiplied by ‘x4’. Similarly, any win with the ‘Wild Symbol’ present on both the slot reel 2 as well as the reel 4 will be multiplied by ‘x16’. For Feature 3 : In case feature 3 is chosen, then during the extra spin, any win with the ‘Wild Symbol’ on reel 2 or 4 will be multiplied by ‘x16’ and any win with the ‘Wild Symbol’ on both the reels (i.e. reel 2 as well as 4) will be multiplied by ‘x36’. Free Spins Multiplier : The ‘Free Spins Wild Multiplier’ is named as such in reference to the Hold and Extra Spin (Free Spins) Feature. Here the ‘Wild Symbol’ can give you a maximum of 36x multiplier which can amount up to bigger and better wins than normal. An amazing plus point of the ‘Big Bear Slot’ is that the you don’t have to count the maximum or the minimum pay out. The slot game itself does that for you. All you have to do is select your bet and the maximum win will be displayed to you. Therefore, the ‘Pay Out Table’ above represents the minimum payout x the chosen bet amount (in this particular case the chosen bet amount is €0.10). ‘Big Bear’ Video Slot is a 5 Reels and 3 Rows slots game by the software provider ‘Playtech’. The game takes you in the wilderness of American Forests with the Big Alpha Bear and the Fierce Wolf, the fishes, the lynxes and the highest paying reel symbol - the Eagle. The stakes start from €0.10 and goes up to €500.00. Moreover, gracing the game with big wins and jackpots are the ‘Free Games Feature’ and the ‘Hold and Extra Spin Feature’, giving out free spins and introducing ‘Wild Multipliers’ in to the game shooting up the payout to a ‘36x multiplier’. In addition, the Wild Symbol triggers the Free Games where as the Scatter Symbol keeps the fun going. The RTP of the slot is calculated to be about 95.48% with a medium to high level variance. The game has a total of 243 different bet ways and provides you with enough chances that you can ensure a big pay out when done. So, pack your bags for this action filled jungle crazy slot ‘Big Bear’ and try not to let the wolves eat you alive. Please enter your review for the Big Bear Slot .